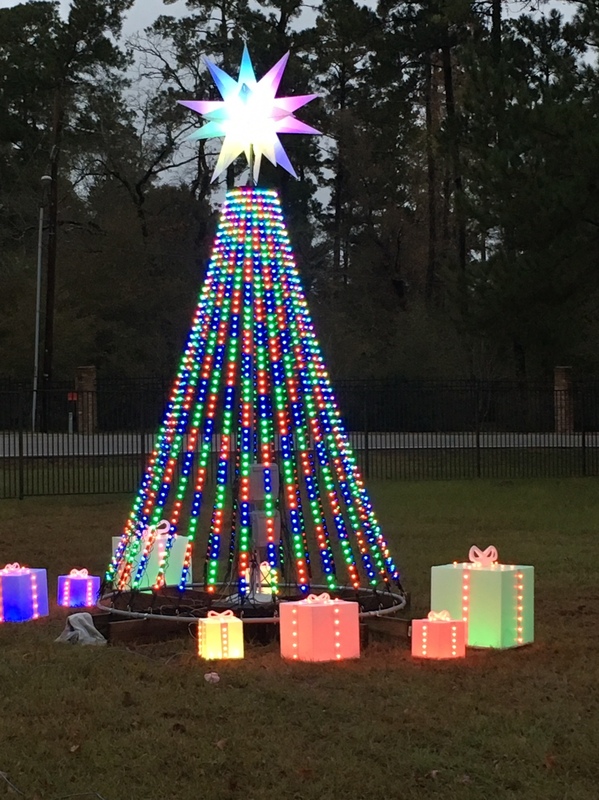 Just finished my new Mega tree, Star and Presents I’m going to add across the street to welcome folks to our subdivision. Vacation and weather kept me from being ready last week but will install it all tomorrow and it’s sequenced to follow my show that’s right behind it. That is one sweet looking star. I am sure the setup is going to look awesome! 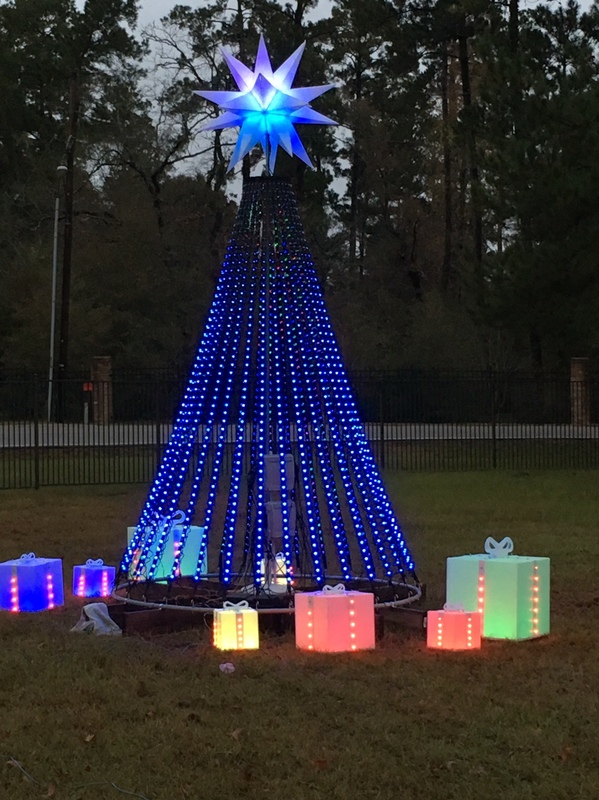 First sequence on the new tree and Star. My previous post was correct. It looks awesome. 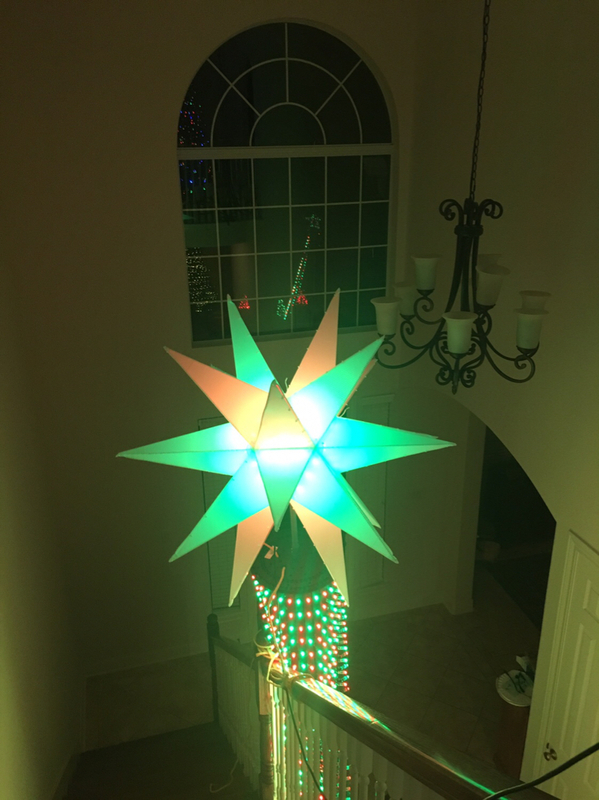 at first i thought that was the same star i am using, from Lowes. But looking at rest of pictures, if it was, your mega tree is very tiny! 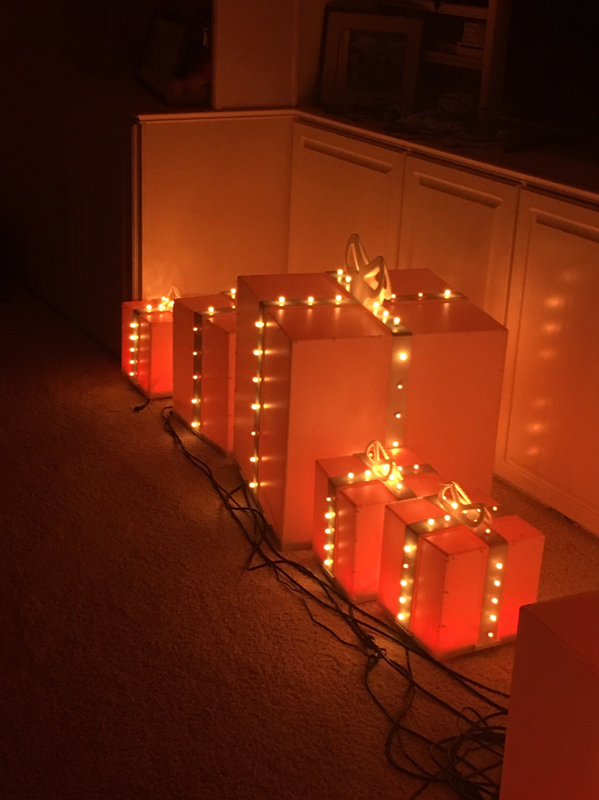 How many lights are inside the presents? I have a star like that on the top of mine, but it is a lot smaller. Where did you get that?